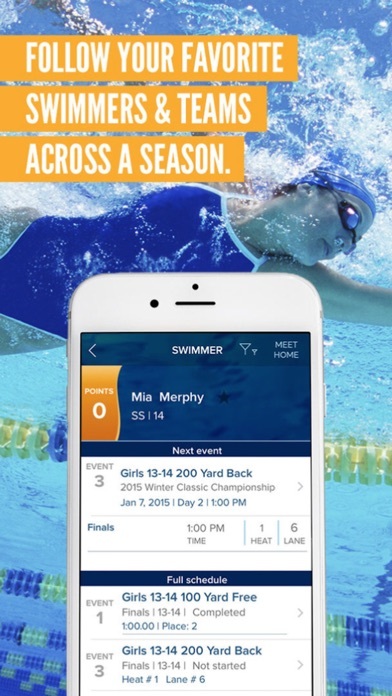 ACTIVE Network’s Meet Mobile transforms the swim meet experience for fans, swimmers, coaches and meet hosts alike. 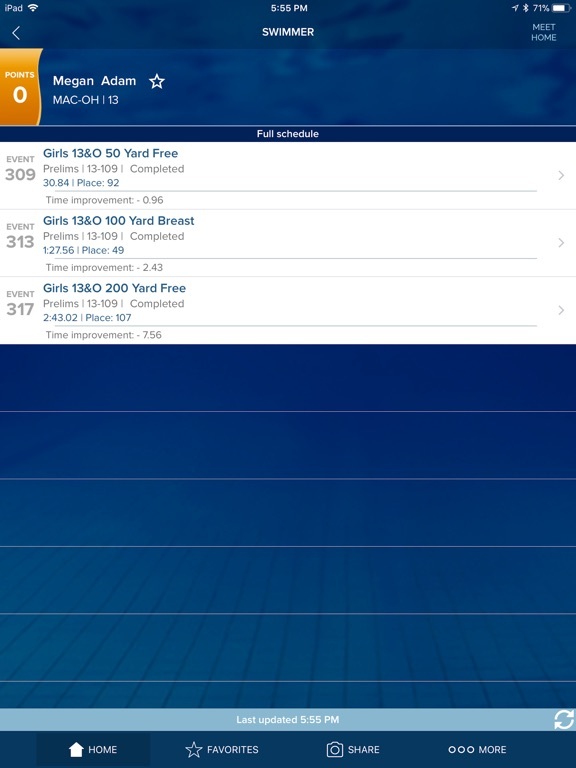 From the largest national qualifying trials in the country to the smallest swim meets, get access to meet programs from all over the world, including heat sheets, psych sheets and real-time results. 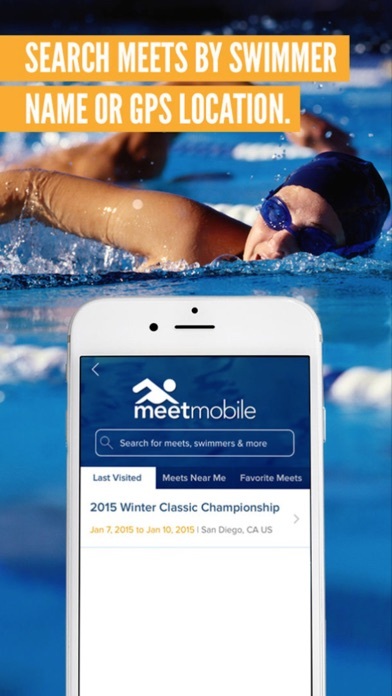 Download Meet Mobile now to follow your favorite swimmers and swim meets. 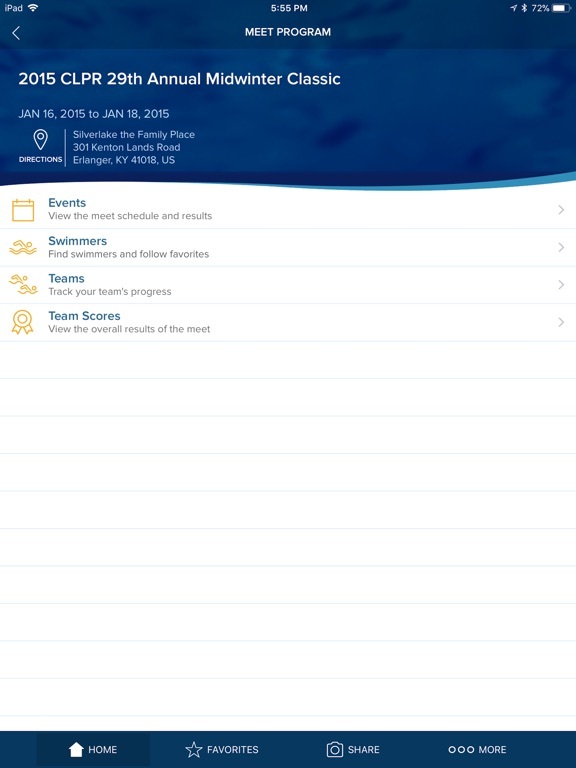 Meet results are available as an in-app subscription. 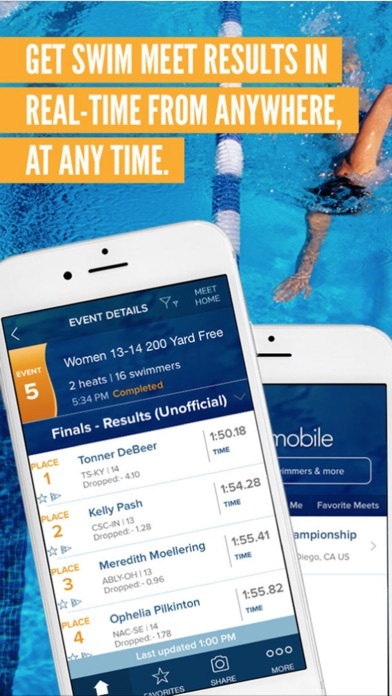 Your subscription includes access to swimmer times, splits, scores, and more at meets where meet hosts and officials support the publication of results to mobile with HY-TEK Meet Manager - the most widely-used swimming management software in the world. 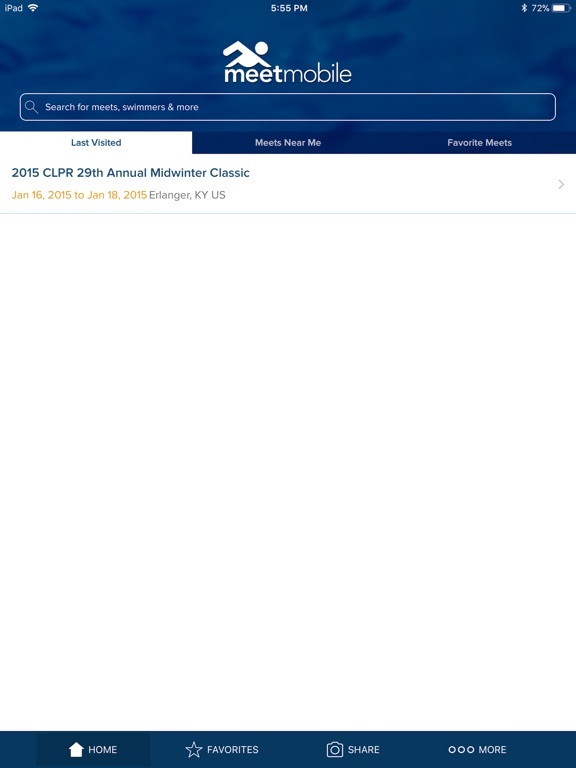 Can’t find your meet? Waiting for meet results? 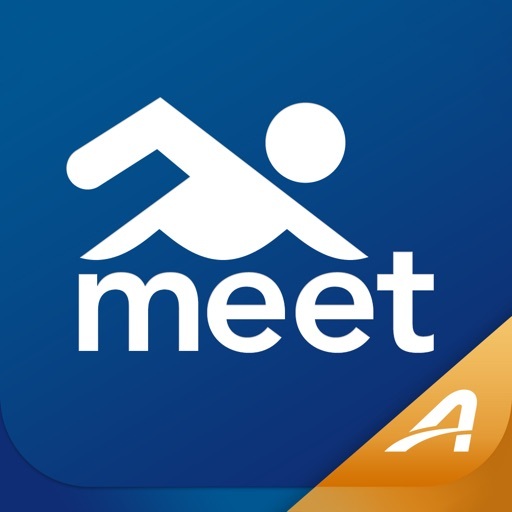 Ask the meet host to update to version 4.0 or higher of HY-TEK’s Meet Manager and post the meet program and meet results to Meet Mobile. 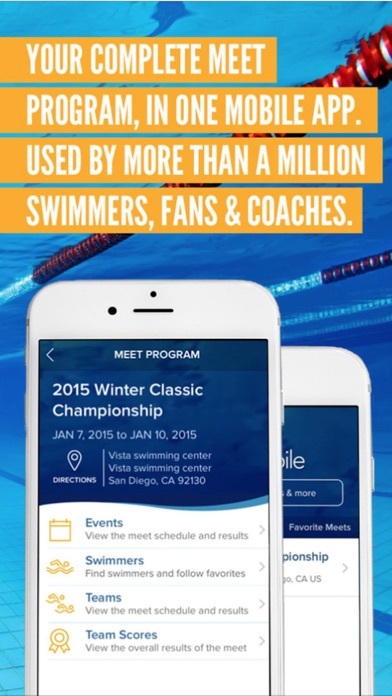 HY-TEK does not control and cannot guarantee the availability or accuracy of meet programs or meet results. 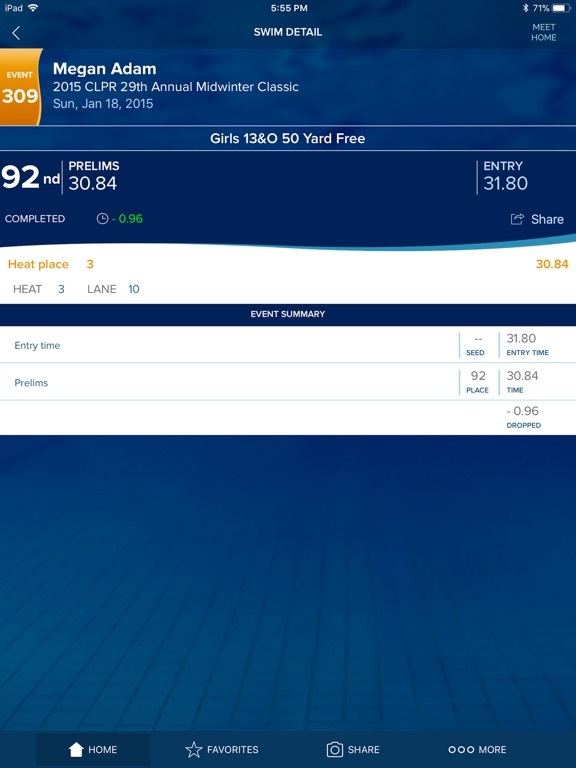 Subscribe and gain full access to meet results, including cumulative and subtractive splits. Monthly subscriptions are offered at Apple Tier 5 pricing ($2.49 USD). Annual subscriptions are offered at Apple Tier 14 pricing ($6.99 USD). Payment will be charged to your iTunes account at confirmation of purchase. Your subscription automatically renews unless your subscription is cancelled at least 24 hours before the end of the current period. Your account will be charged for renewal within the 24 hours prior to the end of the current period. You can manage your subscription and switch off auto-renewal by accessing your iTunes & App Store Account Settings after purchase. 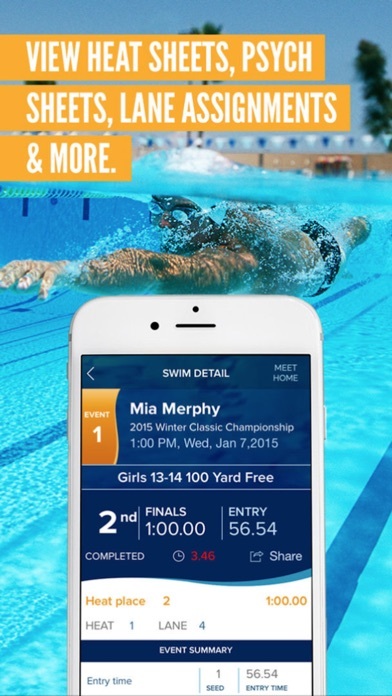 Heat sheets are often distributed freely, but meet hosts may charge for access to heat sheets in Meet Mobile. 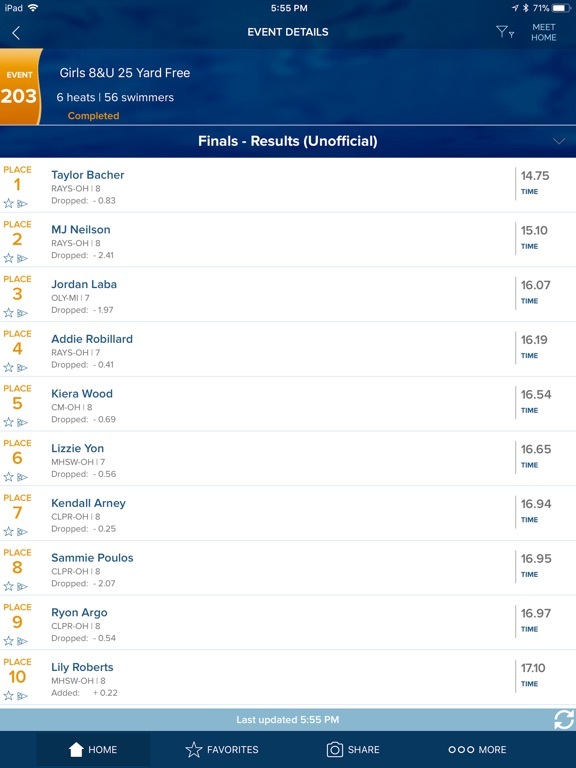 HY-TEK does not control heat sheet pricing, and any price indicated for heat sheets is not included in the meet results subscription.